Programs running inside the Virtual Kiosk store the changes to the files accessed by them inside the sandbox so that the changes do not affect the real computer system. Items stored in the sandbox/Virtual Kiosk could, depending on your usage patterns, contain malware downloaded from websites or private data in your browsing history. 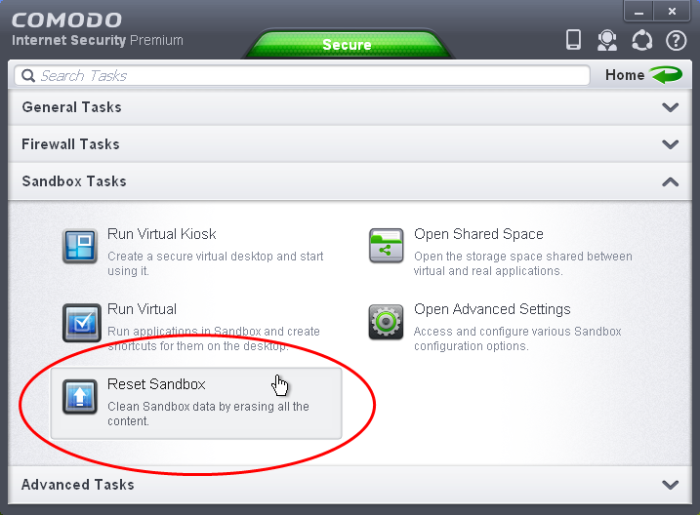 Periodically resetting the sandbox will clear all this data and help protect your privacy and security. If data has accumulated over a long period of time, then resetting the sandbox will also help the Kiosk operate more smoothly. The Reset Sandbox option under the Sandbox Tasks allows you to delete all the items stored in the sandbox. 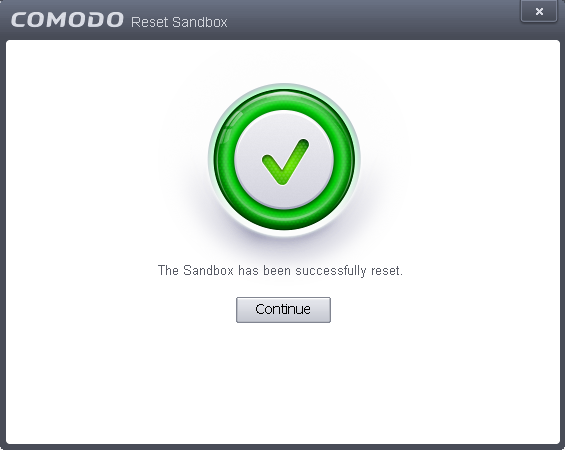 The 'Reset Sandbox' dialog will appear. Click 'Erase Changes'. The contents in the sandbox will be deleted immediately.